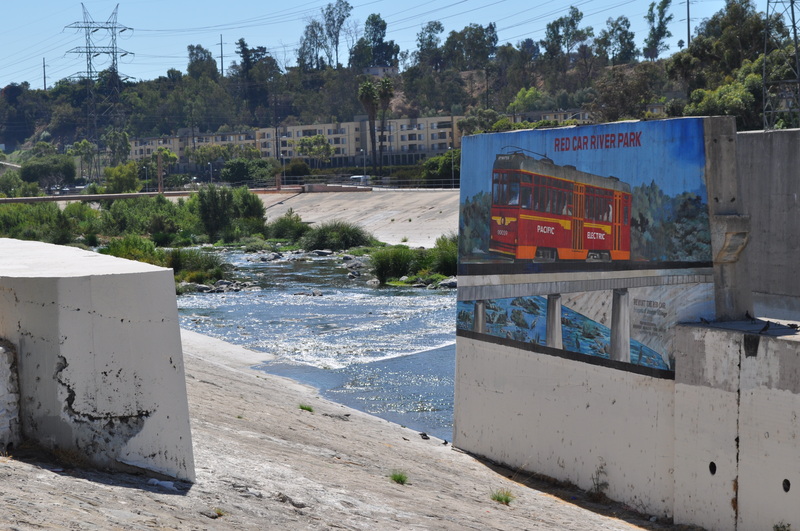 Last week State Senator Kevin de Leon introduced a bill (SB 1201) into the State Senate that would significantly widen access to the Los Angeles River. Authored by Friends of the Los Angeles River in collaboration with the Environmental Law Clinic at UCLA, the Bill would amend the 1915 Los Angeles County Flood Control Act, which limits the County Department of Public Works role on the River to flood and stormwater control, to add recreation and educational purposes to its mandate. The Bill would also establish a State Los Angeles River Interagency Access Council whose members would include the State Department of Fish and Game, the State Lands Commission, and the California EPA, chaired by the Secretary of the Natural Resources Agency, to coordinate the actions of State and local Agencies with responsibilities for River access. We strongly urge you to write or e-mail Alfredo Medina in Senator De Leon’s office (alfredo.medina@ sen.ca.gov) in support of the SB 1201 immediately And as soon as you do that we want you to join FoLAR. If you like what we do on the River, in advocacy, science and education, if you’ve gone on one of our river walks, or taken part in our River Clean-Ups, and our river walks, then send us $50 for a one-year membership. For almost 25 years, we have been the voice of the River. the Voice of the River Users, your voice on the Rio de Los Angeles. I had trouble finding a means to email Mr. Medina, will send him a letter in support of SB 1201. Good for you all should this take place. Strange, this state of affairs regarding the Los Angeles River. I hope you find time to fish there soon. The flies you tied should work very well, they do for me, though that is here. My leg was a bad break, still many restrictions, did one trip of 3 hours with a rented chair that extends my leg, awkward. My wife must drive. I intend to do as much as possible. Keep us posted with fishing as you do and all else important.